We have recently introduced a Press Fittings range and also extended our Valves offering. Furthermore, as a British designer, engineer and manufacturer of plumbing and heating solutions we are proud to be able to support some of the UKs best innovators by working with them to make their ideas a reality. For more than sixty years we have been working with inventors and the plumbing sector to develop innovative and time saving solutions to everyday problems. Our latest innovations are designed to make installers’ lives easier, offering them a range of time saving and simple to install products that get over some of the headaches that plumbers come across every day. 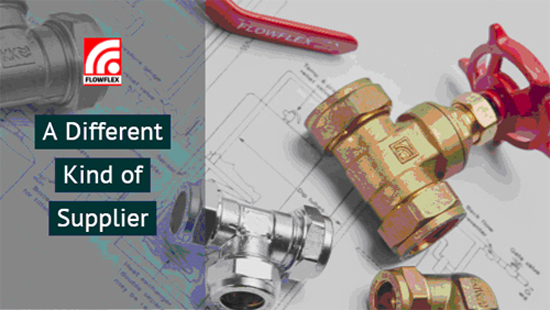 Flowflex is a business which combines engineering excellence manufacturing experience meaning we are able to offer inventors advice and access to markets through our established distribution networks. All products manufactured are fully tested, certified to UK standards and are available on short lead times direct from our distributors.